Sparkles Christmas Challenge was picked this month by Caz. Her challenge is to make a card using Christmas Animals. I can't think of better animals than the little House Mice. I haven't been coloring much lately and today I am reminded of how much fun it is to color. 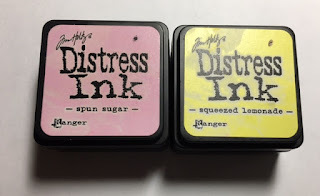 I used a combination of Spectrum Noir and Tim Holtz Distress Inks. The sentiment was created on my computer. The paper is from a pad I've had for years and I do not know what company it belongs to. I used Wink of Stella for a bit of glitter. I'm trying to use items I've had for some time. I think I accomplished my goal. I hope to see something you've created. You can share it at Sparkles Christmas Challenge. See you again soon....it's getting closer to Christmas....I'm one card closer! 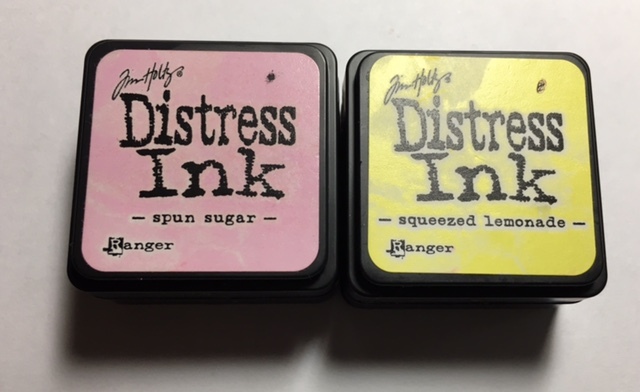 Long time, no peek (at your lovely blog). Having a little catch up. 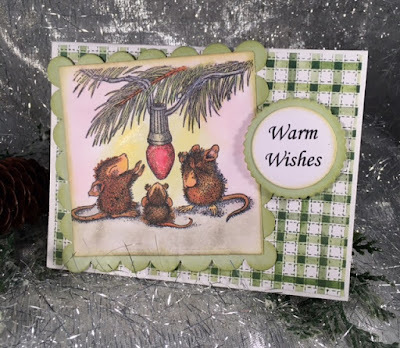 This festive card with cute House Mousies on it is just adorable.